1. In a large bowl, mix together flour, baking powder, salt and cocoa powder. 2. Using your hands, knead the butter into the dry ingredients until chunks of butter are no larger than a mini chocolate chip. 3. Add egg yolks, maple syrup, sugar, and half and half. You can also use milk to lighten up the recipe or go heavier and use cream. Up to you! 4. Finally knead in the chocolate chips just until they are distributed evenly. 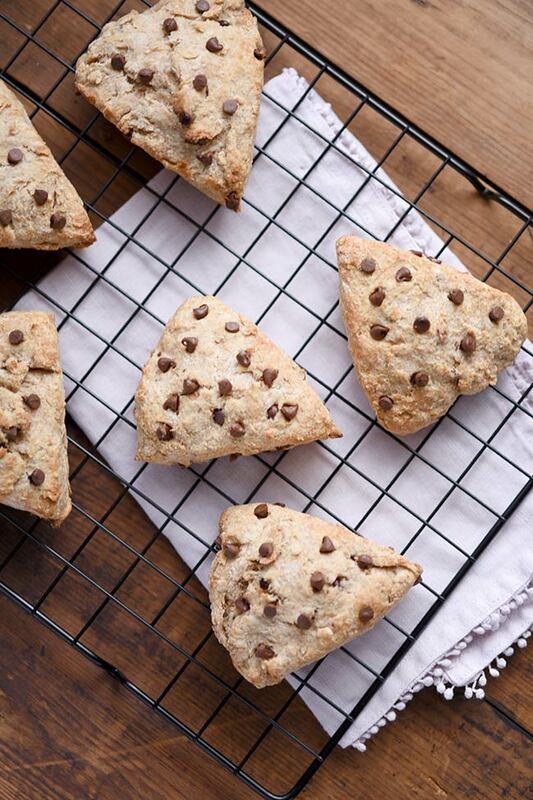 If you'd like a polka-dotted look to your scones, set aside some chocolate chips to press into the top in a minute. 5. Take the scone dough and place on a lightly floured surface. Form a circle about 2" thick. Cut the round of dough, like a pizza, into six slices. 6. Place each slice onto a lined baking sheet, leaving at least an inch in between for the scones to expand. If you want that polka-dotted look, press your chocolate chips into the tops of your scones. 7. Bake at 400˚ for 18-20 minutes or until edges just begin to turn golden brown. 8. To avoid over-cooked bottoms, remove scones from the baking pan and transfer to a cooling rack. Or carefully lift your silicon/parchment paper liner with scones from the hot pan and place onto a cool surface. Guys, scones. They’re so easy to make! I never knew. 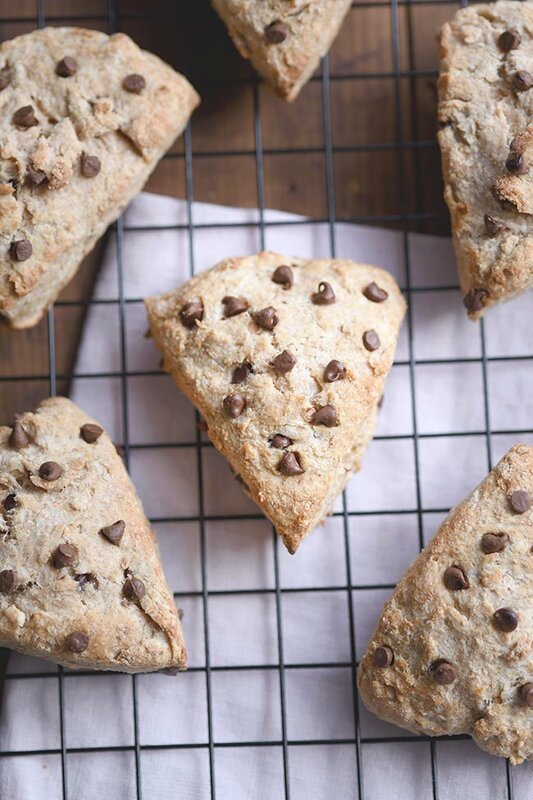 What’s different about these chocolate chip scones from all the other recipes out there? Well, these taste amazing and they’re healthy. 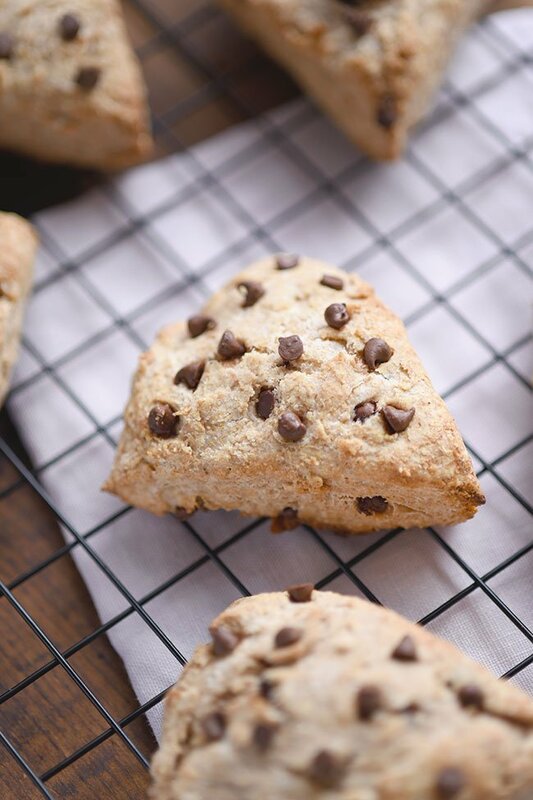 You’ll see that this scone recipe calls for whole wheat flour, a little maple syrup, and a little cocoa powder… a powerful little trio of ingredients that give these scones a lot of flavor without a lot of sugar or butter. I made about a hundred scones in an attempt to come up with the best scone recipe to share with you all. I was inspired by a few sources. Mainly the scones from the market in our neighborhood. The market is only open Thursday-Sunday so it’s become a tradition to buy up a batch of scones every Thursday or Friday. It seems every time I go in, I buy one more scone than the last time because they are so yummy and my kids now love them too. I don’t mind that they love them (other than having to share!) because scones much healthier than cookies. Less sugar, less butter and I can sneak in some whole wheat flour. They make a great after school snack, breakfast or brunch. So, my other source of inspiration was Amy’s Healthy Baking triple chocolate scones. I love Amy’s recipes because she finds clever ways to make sweets, much, much healthier. So definitely check her out if you love sweets but don’t love all the calories. I did try Amy’s version with Greek yogurt and they were good, the kids ate them and they got good reviews from the neighbors. But for me, I was really going after that traditional dry, crumbly texture. So that’s how I finally landed on the recipe below. It’s healthier than the traditional scone recipes you’ll find but you won’t sacrifice flavor or texture. 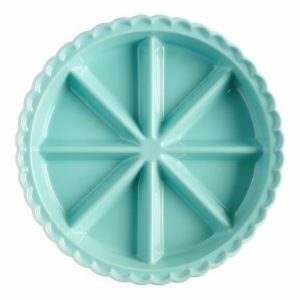 Silicon baking sheets – I love, love, love my silicon baking sheets and use them all the time. I haven’t had burnt bottoms in years and they are less hassle and obviously reusable as compared to parchment paper. 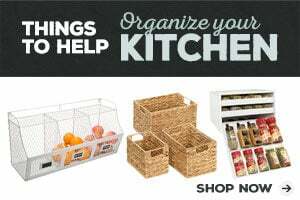 If you don’t have them, I recommend buying them as a set with a baking pan otherwise you can run into issues with them fitting (or not fitting as the case may be) into your baking pan. Or if you’d rather skip the whole cutting of wet dough part, you can just use a portioned scone pan. Less dishes too! Win. Check out this cute ceramic scone pan if that’s more your style. Other than that, you really don’t need anything special to make these scones, so, let’s get to the recipe!